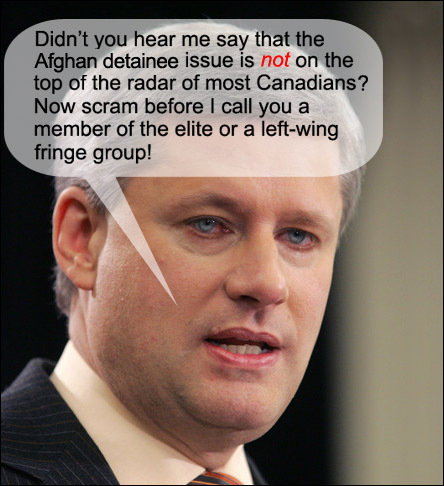 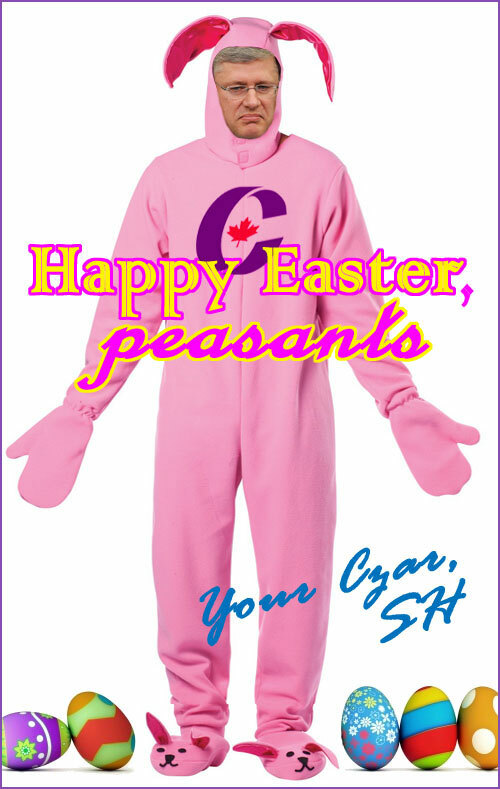 With the Canadian election coming up on May 2nd I'm seeing a fair amount of folks land on my website and blog looking for Stephen Harper items. 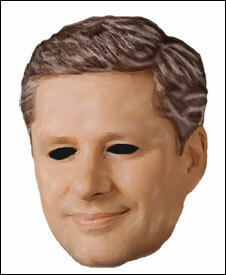 For some reason the Harper mask seems particularly popular. 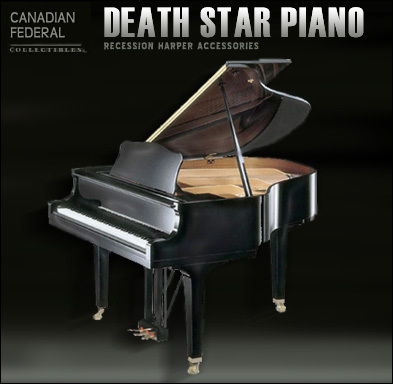 As far as I know it doesn't exist outside of this website but perhaps someone should create one in real life tout de suite. 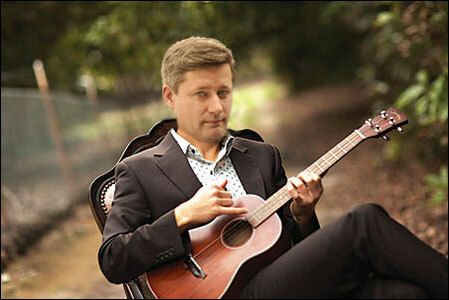 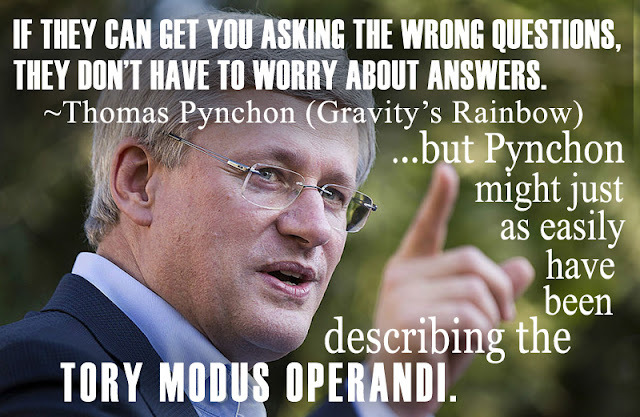 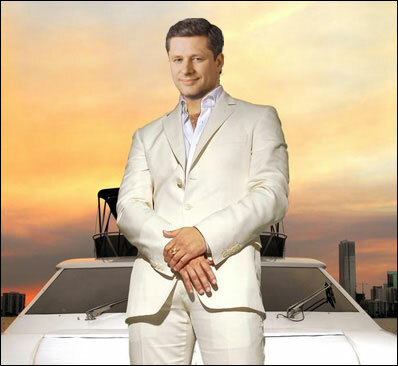 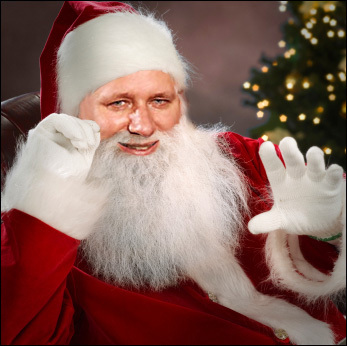 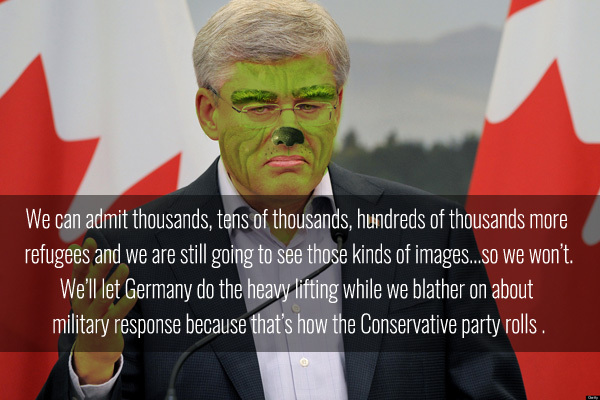 Anyway, I've posted all my Stephen Harper artwork here—in one place—for handiness sake. 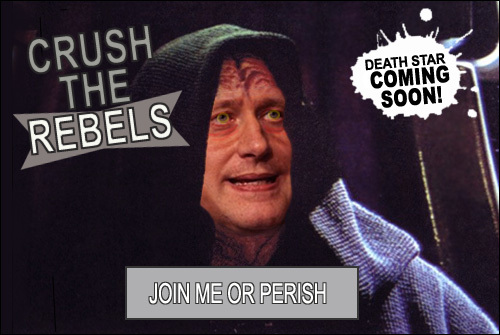 Feel free to use any of the images (crediting me) elsewhere if they resonate. 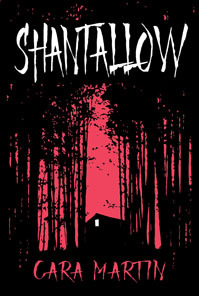 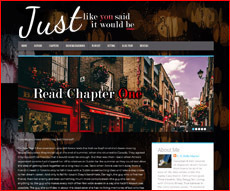 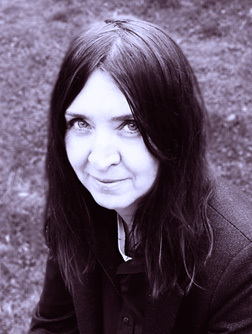 Click on any image to see the original blog entry where it appeared on my website. 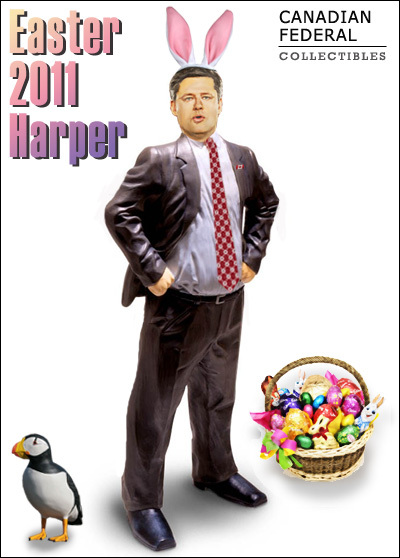 I've begun with a brand new Stephen Harper action figure: Easter 2011 Harper. 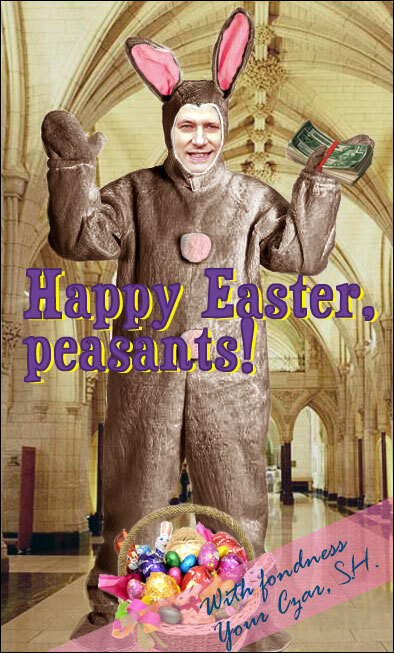 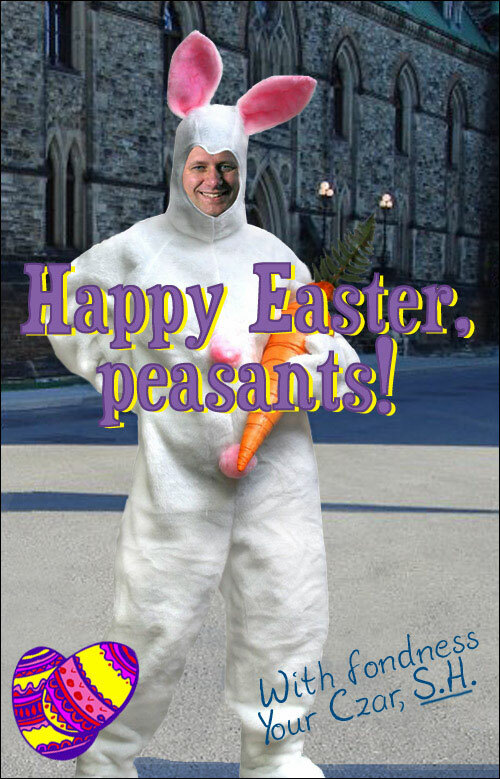 With an election less than a month away Prime Minister Harper doesn't have time for his annual Easter card photoshoot and has persuaded the Canadian Federal Collectibles collection to issue an Easter action figure instead. 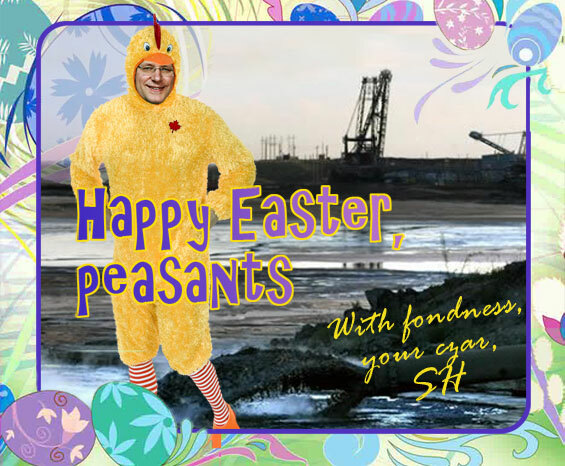 The rendering attempts to capture the jovality of Stephen's cards by featuring the Prime Minister wearing a set of rabbit ears. 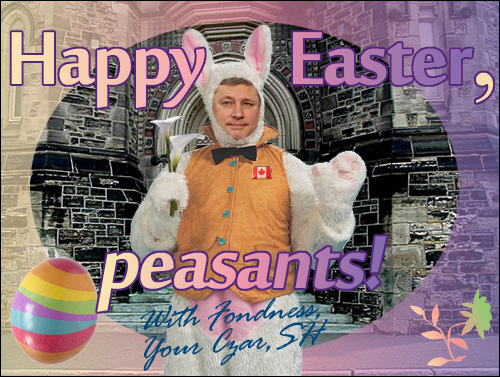 The basket of Easter goodies included with the figure represents offerings Harper is prepared to make voters in exchange for their ceding of democracy. 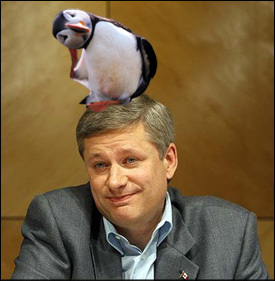 The pooping puffin who took part in the Conservative campaign against Liberal leader Stephane Dion in 2008 is also included as a potential ally in this year's Harper campaign. 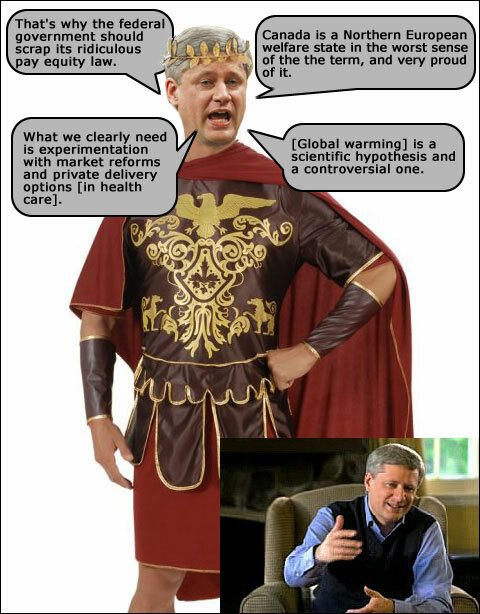 The Canadian Federal Collectibles series recently issued a 2011 Stephen Harper action figure to represent this year's election campaign. 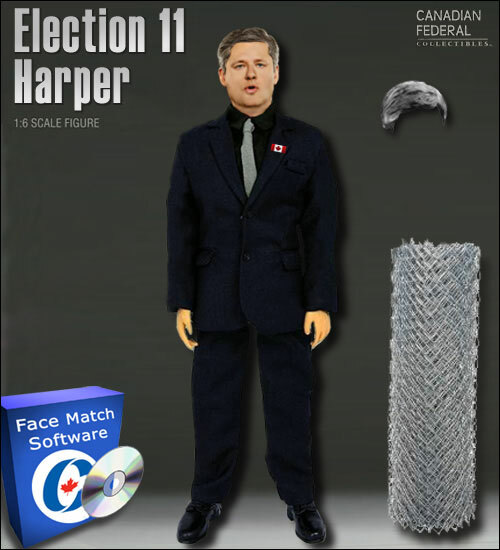 This Harper figure comes with a rolled security fence that can be erected to keep the press at a distance from campaigning Stephen (and which also harks back to the G20 Toronto Summit), a spare set of snap-on hair (in the unlikely event that Harper's gets mussed) and a package of face match software which allows Conservative henchman to scan the crowd at Harper campaign stops and turf those suspected of partisan leanings. 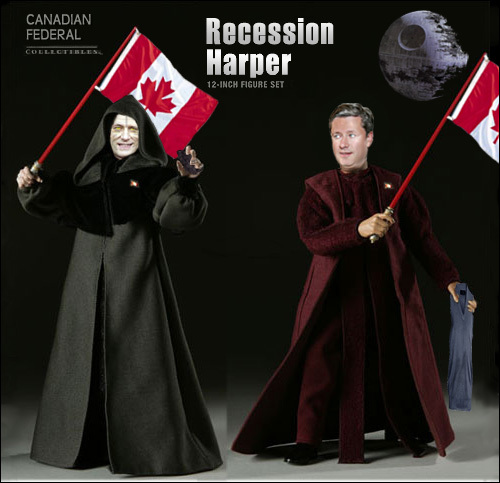 Election 08 Harper carries the Canadian flag in one hand; the other is poised to lull us into a false sense of security as he attempts to conjure his Jedi mind trick magic. 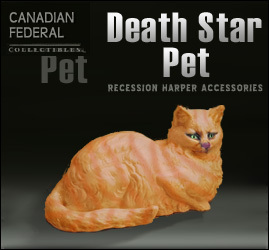 April 2009 brought the release of a Harper action figure set to celebrate Harper's reign during the previous six months. 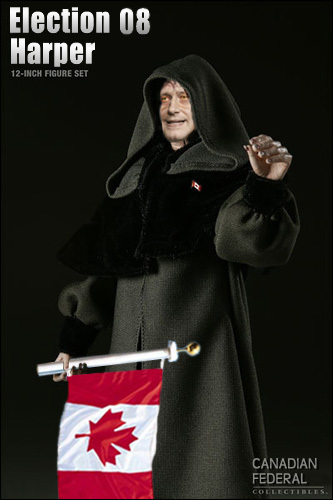 As you can see, the Darth Harper figure clutches a Canadian flag in one hand and a chunk of Alberta tar sands earth in the other, the oil proceeds of which Harper hopes to use to fund creation of his Death Star. 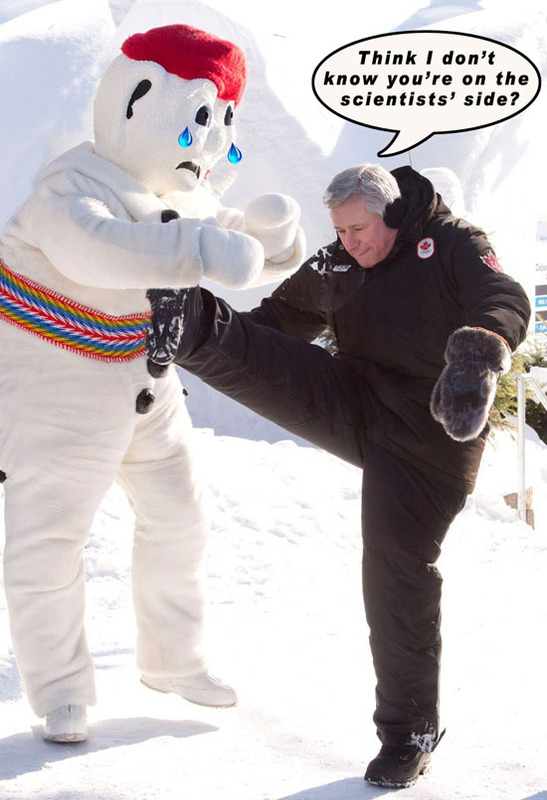 Statesman Harper (in full ceremonial garb) also grips a Canadian flag, which he can wave vigorously while proclaiming Canada's finances are sounder than any other country in the world. 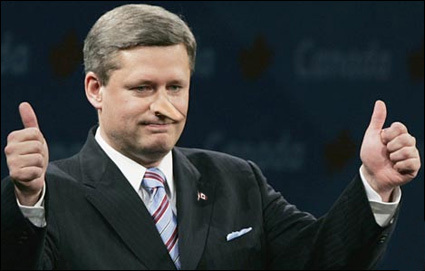 In the event the flag waving fails to placate Canadians, Harper can quickly don the sweater vest he holds in his other hand. 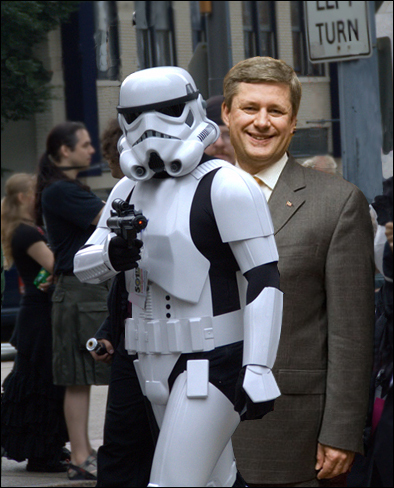 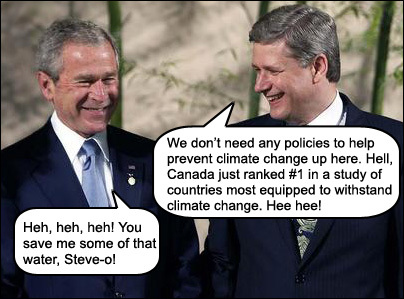 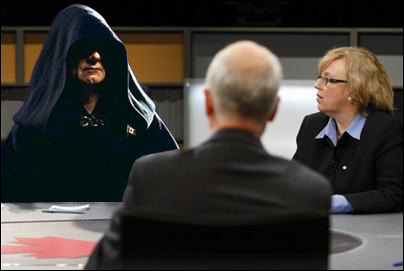 When Canada (with Stephen Harper at the helm) dragged their feet standing agains progress at the Copenhagen climate change talks in 2009 a close observer remarked that, “Canada has become the Darth Vader of the G8 in particular. 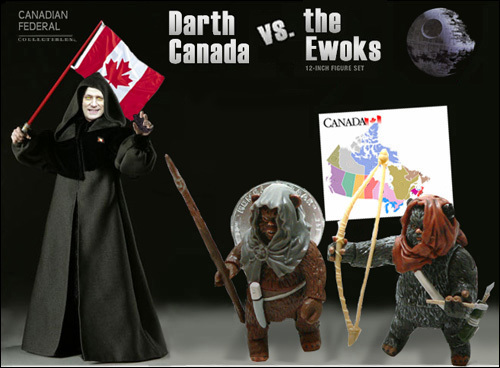 The marks they now get regularly from the environmental groups are last place.” The below action figure commemorates Canada's toxic environmental position and their opposition to the defenders of our natural landscape. 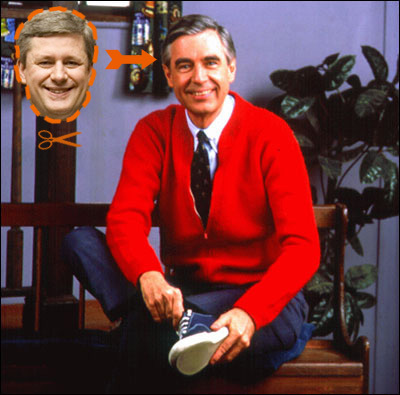 The 2015 Election Harper figure (released on the eve of the 2015 election) features Stephen in decidedly casual wear, not unlike what he wore to a Conservative party rally with Rob and Doug Ford in October 2015. 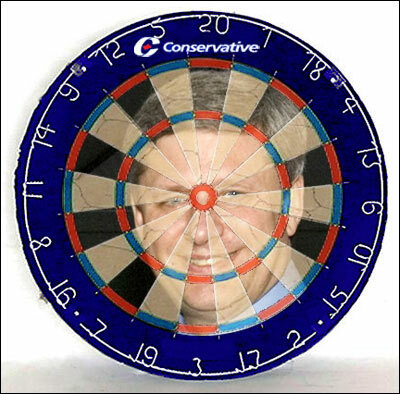 As with the election 2011 figure, the 2015 Harper collectible comes with a spare set of snap-on hair and some of Stephen's favourite props - the bills tossed around as a game show gimmick at fall campaign stops. 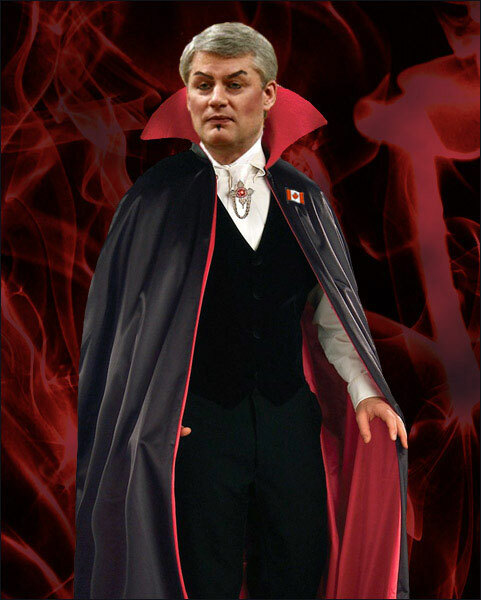 Naturally Harper's other favourite prop is fear, which he wields with a heavy hand. 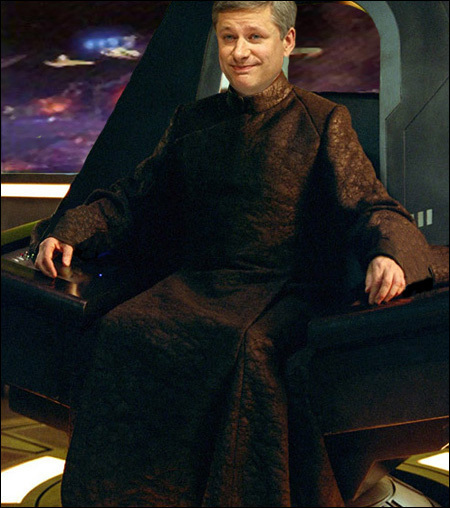 Including Darth Vader's mask with the election 2015 figure allows Stephen to quickly switch tactics, moving easily from his Shopping Channel persona to one that incites unrest and provokes anxiety. 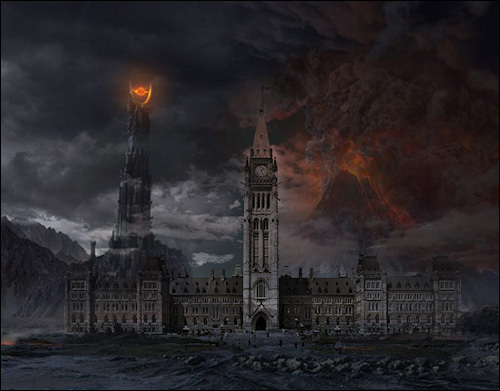 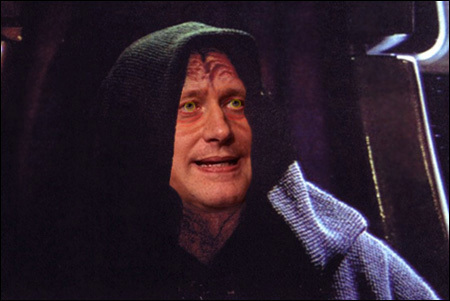 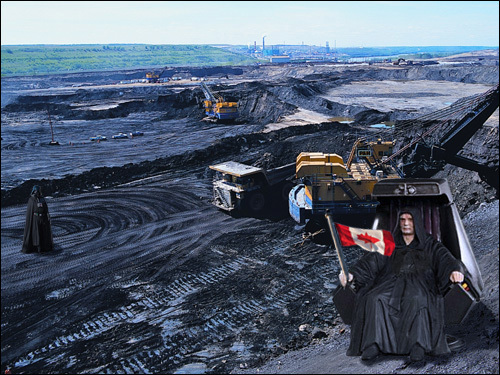 Emperor Harper and one of his minions supervise the destuction of the environment and the creation of dirty fossil fuel at the Alberta Tar Sands. 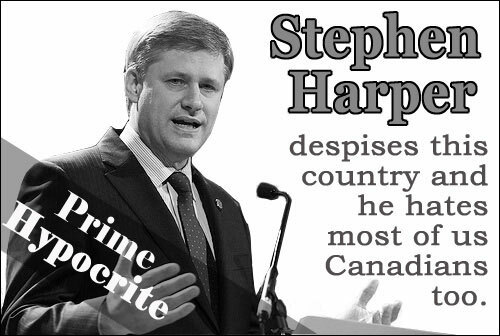 Read about Stephen's true identity, Stephane Harperoux, a French Baron who has been feeding on democracy since 1789.